Winter is over. Gone are the days of chilling temperatures and snowfalls. Winter is over. Gone are the days of chilling temperatures and snowfalls. Summer vacation is just a few months away and people have already started planning for tours with their loved ones. If you are one of those individuals who are just dying to spend some time in an exotic island or a beautiful beach house this summer, then it is the right time to organize your finances. A holiday in any place will cost you a lot of money and you surely will not dream of getting into financial problems just after returning from the trip. After all, you are going for a vacation to relax not to incur some nasty amount of outstanding bills. So, you should plan your finances in a way that will help you enjoy your vacation without digging a big hole in your pocket. Read along to get acquainted with 5 tips that may help you save dollars on vacation in this summer and prevent various financial woes from marring your trip's pleasure. 1. 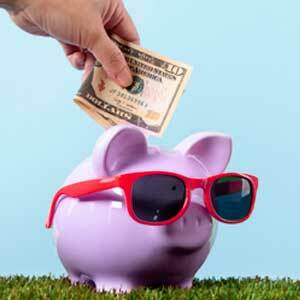 Look at your savings and plan accordingly: Calculate your total savings prior to going for a vacation. You should have a clear idea as to what your wallet can afford. If you find that your savings is not enough to sponsor your trip to an exotic island, then you should try to increase your savings. You can also go to other places which you can easily afford. Visit the traveling websites to check airfares, accommodation costs, affordable local restaurants on different days. This is because the price of an air ticket varies from on a daily basis and so does price of other items. For instance, you may get an air ticket at half of its original price by traveling on a particular day. This will help you reduce your traveling cost. 2. Use emails to know about the special offers: You may be surprised to know that you can save a lot of money on your summer vacation just by checking your mails daily. The reason is, several hotels, casinos, restaurants, etc. send discount offers to the consumers via emails. So, you can scan your inbox every often and filter through the special offers to enjoy lucratives discounts, and deals. This may help you to save on your meals, conducted tours, entertainment, etc. 3. Opt a place where tourism is not the main occupation: Avoid going to those places where tourism is the only source of income of the local people. This is because the hotel rates, foods, cruises, etc. are extremely costly in those places. The local people try to make as much money as possible from the tourists as they don't have other sources of income. It may be difficult to find out places where tourism is not the primary occupation, but there may be some locations which are more affordable than the others. 4. Look for discounts and benefit from them: A lot of hotel chains offer special discounts to the customers in the summer vacation. Some of the good hotel chains offer free reward programs to their customers. For example, if you stay in an ABC hotel and participate in its reward program, then you could be lucky enough to earn some free miles or hotel points. You can use the hotel points to qualify for free miles on several airlines. You can also stay at their hotels for free in future. 5. Book a rental property and enjoy: Normally, most of the tourists prefer to stay on hotels when they are on a vacation. But a recent survey has proved that tourists can save around 50% to 80% on their expenses by staying on a rental property. These properties are not much expensive and are quite spacious. The properties are equipped with modern facilities. You may even have internet access in the rental properties. So, if you have an important video conference while you are on a vacation, you can easily do that through your laptop or some other device. Some of the rental properties also offer gyms, spa, swimming pool to keep the tourists thoroughly entertained.